The Right to Fail – Should We Give it to Doctors? No one goes out of their way to be bad at their job. But when you’ve settled into your routine, the grinding repetition of chores can wear you down. In the medical profession, a lack of alertness through boredom can be disastrous – for both doctors and patients. Despite popular belief, doctors are allowed to make mistakes. There may be a misdiagnoses here or a poor bedside manner there but, provided your mistakes don’t derive from apathy, there are always safeguards in place. In a culture where medical professionals feel judged for the occasional misstep, the fear of failure can be crippling – and place patients in grave danger. Without consultation and discussion, the medical world would never have progressed beyond leeches to cure the plague. Your entire career should act like a medical journal, peer reviewed at every juncture and improved upon with every input. Indeed, you don’t have to wait for criticism. 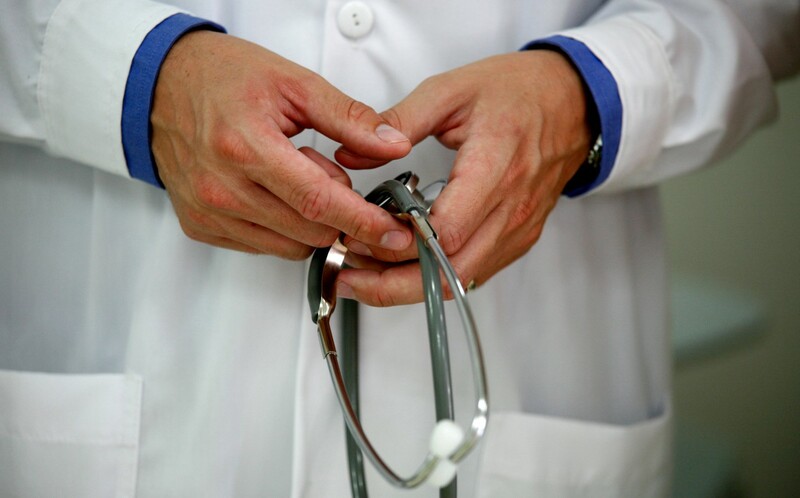 A number of doctors appraisal experts can give you a helping hand, for a small fee. This is a vital process showing the GMC that you’re still fit to practice and can maintain modern medical standards. While the foundations of your training will always be relevant, the goalposts are always moving when it comes to the nuances of rules and regulations. With regular input from appraisal experts, failure need not be a career killer. It’s understandable that the transparency to show failures makes a number of hospital executives anxious, especially in Britain, where NHS figures are continually skewed by the media and politicians. With an increased openness to admit failure comes a greater number of opportunities to portray the NHS as a beleaguered institution. But mistakes are leading to a wasteful medical industry. In the US, for instance, one in every three dollars is spent on fixing previous errors. Moreover, around 1.2 million incidents are reported on the NHS every year. For the general public, admitting that your doctor is fallible is an understandable struggle. Television shows like House show a Sherlock-like god figure as doctor. He can sniff out illness like a drug detection dog can sniff cocaine. Yet these lofty portrayals are ultimately harmful to the practice in general. With increased communication within the medical community and greater transparency with the public, people might begin to appreciate the fallibility of medical practitioners. It’s natural to think of our healthcare establishments as relatively safe places.Whether we’re in for an appendectomy or simply visiting a poorly family member, few of us expect to come to harm after we walk through the sliding doors – but several dangers are stalking the nation’s hospitals. One of the biggest health risks are hospital-acquired infections (HAI), including pneumonia, urinary tract infections and surgical site infections, with one in 16 people treated in the NHS picking up an infection which can hinder their recovery. According to Tom Sandford, director of the Royal College of Nursing in England, infection prevention and control are vital to ensuring the safety of patients, with every health service organisation urged to make this a top priority. Additionally, dealing with healthcare waste is equally as important. While around 80 per cent of waste generated by healthcare activity is general waste, the remaining 20 per cent is hazardous material that may be infectious, radioactive or toxic, which presents a real danger to patients and visitors. Worldwide, an estimated 16,000 million injections are administered every year, but not all needles and syringes are properly disposed of – but this is an area where healthcare establishments can alleviate risk by hiring the services of a specialist medical waste team. Indeed, according to statistics from the World Health Organization, high-income countries generate an average of 0.5kg of hazardous waste – sharps, chemicals, pharmaceuticals etc – per bed per day, all containing potentially harmful microorganisms. 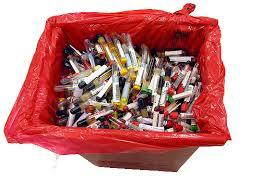 Clearly, disposing of medical waste is an issue in healthcare establishments around the world. Worryingly, inadequate training in proper waste management, as well as the seemingly low priority many healthcare establishments give to this issue, not to mention some countries without appropriate regulations, means various health hazards are likely to continue unabated. By employing a specialist firm to dispose of medical waste, however, healthcare establishments abide by legislation controlling its safe handling and make sure it’s dealt with in an efficient and environmentally considerate manner. This often involves supplying a range of colour coded disposal bins, as well as training healthcare professionals to segregate waste at source, which should help hospitals reduce the risk of harm to vulnerable patients and concerned visitors alike. Cancer is the second leading cause of death in the United States, and it often becomes fatal because people simply do not know enough about it. Individuals are not educated on the most common types of cancer, and they often overlook the importance of regular physical exams and check-ups that can help catch cancer before it becomes untreatable. To help protect yourself from becoming a victim of cancer, take the time to educate yourself on a few of the most prevalent types of cancer and the tests needed to determine whether or not they exist. Lung cancer is by far the most common cause of cancer-related deaths in the United States, and it isn’t just a diagnosis in smokers. Those exposed to secondhand smoke over a long period of time, workers surrounded by high concentrations of chemicals, and those with no history of carcinogen exposure at all may be diagnosed with lung cancer. The disease is highly treatable if caught in the early stages, and those who may be at high risk need to remain vigilant. Lung cancer may first be noticed during your annual physical exam. Swollen lymph nodes above your collar bone, abnormal sounds in chest cavity, and a dullness in your chest when tapped can all suggest lung cancer. If your doctor notices anything irregular, he or she may order a CT scan. If the results of the scan are abnormal, a biopsy and bone scan are done to get a more accurate diagnosis and to determine the extent of the potential cancer. KRAS testing to detect gene mutation can be used after a lung cancer diagnosis. This test helps individuals determine how well their bodies will respond to the typical epidermal growth factor receptor (EGFR) inhibitor therapies commonly used as treatment patients with advanced stage lung cancer. Knowing how well your body will respond to treatment will make it easier to cater treatment to your needs which may ultimately increase your likelihood of survival. Colorectal cancer is the second most leading cause of cancer-related death, and can be a little trickier to detect in those suffering from it. If you notice a constant change in bowel movements or have notice blood regularly in your stool, it may be time to consult your physician. Upon noticing irregularity, your doctor may order a colonoscopy to see if polyps are in your colon. While a colonoscopy normally is not recommended until individuals reach the age of 50, if you have a familial history of colorectal cancer, you should have a colonoscopy 10 years before the age of the last person diagnosed in your family. So if your grandmother was diagnosed at age 50, you should have your first colonoscopy at age 40. If your doctor notices polyps in your colonoscopy, he or she may remove a polyp to have a biopsy performed. A CT scan may also be ordered to determine the extent of any growths that may be occurring. Like lung cancer, colorectal cancer has can also use a KRAS test to determine how well the body will respond to EGFR inhibitor therapies. This test is highly recommended as colorectal cancer can become highly aggressive and difficult to treat. Breast cancer has a 97 percent survivability rate if found while the cancer is still in the breast tissue. However, if left untreated, breast cancer can spread throughout the body, and require intense chemotherapy and numerous surgeries to combat. One of the best ways to start screening for breast cancer is through your own breast exams and by attending your annual well-woman exam. Should your doctor notice any lumps, he or she may order a mammogram, breast ultrasound, or MRI to determine whether or not the irregular tissue should be of any concern. If the tissue is found to be abnormal, your physician may order a biopsy to get an accurate diagnosis. Women who have a history of breast cancer in their families, as well as those who have tested positive for the gene, should consider having regular check-ups. These regular check-ups will help make sure that you stay healthy, and that breast cancer can be caught immediately should you become diagnosed. No one wants to be confronted with cancer. 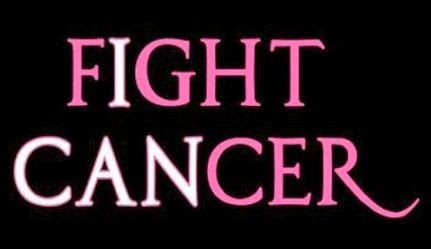 However, ignoring its possibility won’t make cancer go away. By catching cancer in its early stages, those diagnosed have a much higher survival rate and are more likely to avoid the more aggressive cancer treatments. Keep yourself safe. Regularly attend your annual check-ups, and don’t be afraid to schedule an appointment with your doctor should you notice anything irregular with your body.